The Rio Grande Valley’s location along an international border and a major shoreline makes it a huge tourist attraction; visitors, from weekend beachgoers to Winter Texans, are a major part of the region’s economy — and a source for many vital jobs. Continued development on South Padre Island and the start of SpaceX rocket launches at Boca Chica Beach, not to mention the growing trade and travel links between South Texas and Mexico, suggest that Valley tourism will only continue to grow. Of course, many of the jobs in the tourism industry have counterparts in other local businesses and job sites, from hospitals to school cafeterias. Such prospects make a new degree track at the local university especially welcome. Officials at the University of Texas Rio Grande Valley have announced the creation of a program to offer courses in hospitality and tourism management. It will be part of the university’s College of Business and Entrepreneurship. The school will offer its first introductory course in the spring, an overview of the hospitality industry and the career prospects it offers. Those prospects are many, officials say, ranging from hotel and restaurant management to tourism promotions. The university plans to offer certification and bachelor’s degrees in four course plans: hotel management, event and destination management, restaurant entrepreneurship and management and healthcare hospitality. Courses will include business courses and law as it pertains to business management. Students who choose such careers should find a wealth of opportunities, from running hotels and restaurants to managing any of the many nursing, retirement and rehabilitation centers that operate in the Valley. Cities that have or plan to establish visitors’ and convention bureaus likely will find qualified graduates to fill their needs. And when we consider the strong culinary arts programs at South Texas College and Texas State Technical College, once the UTRGV programs are established investors planning new hotels, restaurants or even healthcare facilities might be able to fill most of their personnel needs right here in the Valley. Program director A.J. Singh, who comes from Michigan State University to launch the local programs, said the skills students will receive should also enable them to work in banking, retail and property management fields. 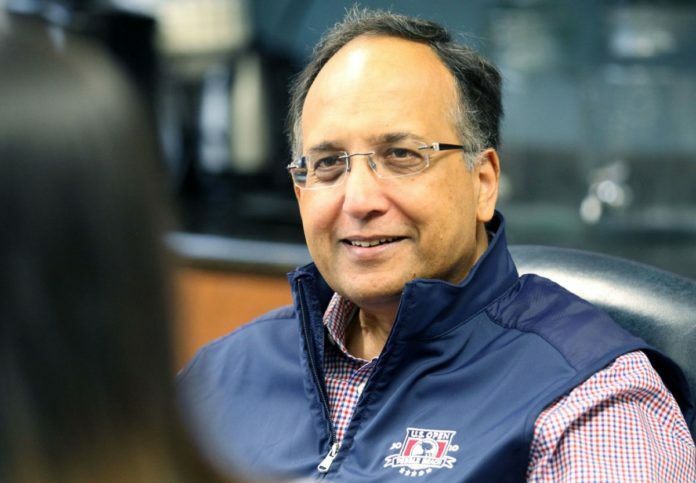 Singh said a long-range goal includes a possible stand-alone building that can serve as a lab where students can practice the skills they are developing, and perhaps even a hotel where students can work while still matriculated in the program. This program is another example of the university’s ability to tailor programs that can address the unique needs and opportunities of the region it serves. It promises to provide skilled people who will feed our growing service industries, while giving local residents an opportunity to secure the jobs those industries offer. Singh said he hopes the program becomes nationally, and even internationally known. We applaud his enthusiasm, and look forward to seeing the growth of this specialized program.